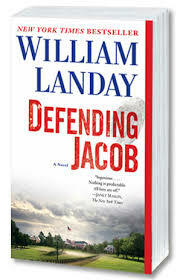 Years back I read Defending Jacob by William Landay and was highly impressed. While court room dramas aren’t exactly my bag, I enjoyed the balance Landay masterfully displayed between showcasing the book as a legal drama, and his ability to weave in the family drama between family members who, until a tragedy hit, didn’t realize how close they were to being a dysfunctional family. In my quest to revisit some older books I have enjoyed and see if they were really as good as I remember them to be, I tackled this one over a quiet weekend. Andy Barber is the top assistant DA in his small town. He is well-respected, has a beautiful home, a faithful, beautiful wife, and a young son who he adores. Life is great, until the murder of a young high schooler shatters the town’s feeling of normalcy. Barber quickly begins to spearhead the investigation, but is soon faced with the painful reality that some clues may point towards his own son’s guilt. But as Barber narrates this tale, we find he quickly spins these clues into a web that he truly believes will ensnare the real culprit, whom he is sure is not his son. Landay has done a fabulous job leaving the reader unsure of what is real, what is a lie, or even where the lines between these two ideas lay. Is Barber a father whose belief in his son’s innocence justifies, or is he a man who will use his job title to help get his guilty son off the hook for a horrendous crime? The ending to this book is one you will never see coming. Very rarely does an ending leave me floored, but this is a book that did just that. While shocking, the ending makes sense, ties up the loose ends, and satiates the reader’s desire for a quality resolution. I am pleased that I enjoyed the book on the second go around, even though I knew the surprise ending.